A short introduction was posted in the watch collection forum about President Obama’s watch. I decided to review it and with pleasure I am. 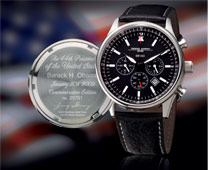 For the past few years President Obama has been a big fan of the Jorg Gray 6500 Watch Series. The watch was given to the current president as a birthday gift back in 2007. The original watch designed for President Obama, is exactly like you see in the left picture. It has a black leather band, inside dial is black with a US Secret Service logo at the top that reads “United States Secret Service”. The watch to the right is for normal customers and it has the Jorg Gray logo and series number. 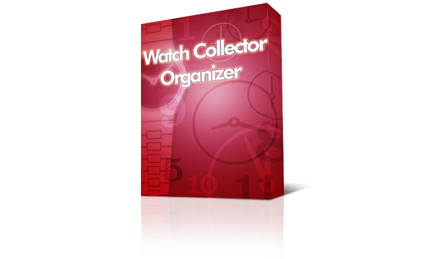 The collection includes three watches for men and one for women. The original Jorg Gray 6500 series in black for both women and men. Next, same design with a switch in color in the band and watch hands inside the dial to include colors: Rose Gold and Bronze. I like all the watches in this collection but if I had to choose, I would go with the black. Each commemorative watch for the public, comes with a stainless steel solid back case that is original with its own serial number. The back reads: “The 44th President of the United States”, “Barack Obama” with the date of the inauguration plus the signature of designer Jorg Gray. The casing and material of this watch is very solid. The movement of the watch seems to be manufactured by the Citizen Watch Company so you know already there is good quality. The Barack Obama Watch battery size is SR927, so that is easy to find. The pricing of the watch isn’t exactly cheap at $325, but remember it is a collectors edition with a lot of history behind it. Also, with each casing back with its own unique serial number that’s already valuable. You can purchase the watch at WatchCo and get free shipping plus $20 off of your $300 purchase with this coupon, also at Watchco, they have in the collection not stated in the original BaracksWatch website. Here it is below. It is all black and now my favorite!